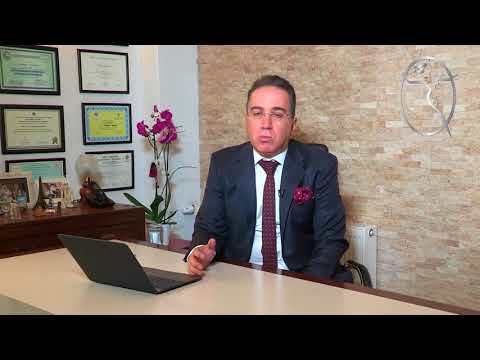 During 7 years of Specialty education in University of Ege School of Medicine Plastic and Reconstructive Surgery Clinic, he has practiced in every area actively. Within this period, hand and microsurgery extreme Replantation and reconstruction have been applied by me. I have been in contact with the Hand and Microsurgery Hospital for 2 years and made operations. All applications are detailed, careful, and they realized that good communication requires a comfortable environment. Aesthetic Plastic Surgery, and images of patients in accordance with the request to improve speech has focused on development and transformations dreams come true because of medical care, patient safety, making sure to apply advanced techniques. We serve this purpose since 2000. Our office is in Alsancak your comfort, care and provide a friendly atmosphere. One of the keys to success in the application and communication operations. Listen to your expectations, wishes to understand the wide divide our time. However, every aspect of operations açıklamaktayız. The first moment of the operation until the end of the show the same interest. What is aesthetic surgery? What is reconstructive surgery? Aesthetic surgery is the correction of shape. In other words, it is to change the shape of tissue and organs according to the patients choice and ideal anatomic measures. For example: enlarging small breasts with silicone prosthesis. Reconstructive surgery is to repair. Inborn lack of organs, inborn abnormalities, organs that lost their shapes and functions as a result of an accident, burning or operation are reformed again by surgery. For example: reforming breasts that have been removed as a result of cancer treatment. Most of the aesthetic surgeries involve skin and tissues under the skin thus there is no pain. If there is light pain it will go away in a few days or can be controlled by pain killers. In surgeries in which the muscles are also subject to the operation, the pain and tension might last longer. Will there be surgery marks? There is an acceptation as that the aesthetic surgery leaves no marks. Appropriate and special surgery materials are used for aesthetic surgeries but there will still be light marks. However, these marks are usually hidden in aesthetic surgeries, i.e. in the nose in nose surgeries, in the eyelid in eye surgeries, in the bikini area in abdominoplasty. Liposuction does not leave any marks. In some surgeries it is not possible to hide all the marks, for example as in breast reduction. There is no such evidence. The risks of a woman without silicone and with silicone to have cancer are equal. Silicone will make it easier to determine the existing cancer because it makes the breasts stand forward. In experiments silicone has been applied high and low pressures to which a person would not experience in normal life and no problem have been recorded. FDA approved silicones do not have a definite use of time. Some people carry it for a life time. Is silicone an obstacle for breast feeding? Silicone implant has no effect on breast feeding. Can someone give birth to a child after abdominoplasty? Yes she can give birth by the condition of waiting for a year. Does removal of moles cause cancer? It is a misbelief. The moles that are already cancer should be taken off by excision i.e. surgery. Should recently formed wounds, burn injuries, tattoos be interfered immediately? The patient must wait for at least 6 months to scar to have its final shape. During this waiting period you should consult your doctor to have the lightest scar. Scars can not be removed completely. They can either be reduced or lightened. The success of the new look depends on the age and skin type of the patient, size of the scar, the location and dimension. During 7 years of Specialty education in University of Ege School of Medicine Plastic and Reconstructive Surgery Clinic, he has practiced in every area actively. Within this period, hand and microsurgery extreme Replantation and reconstruction have been applied by me.